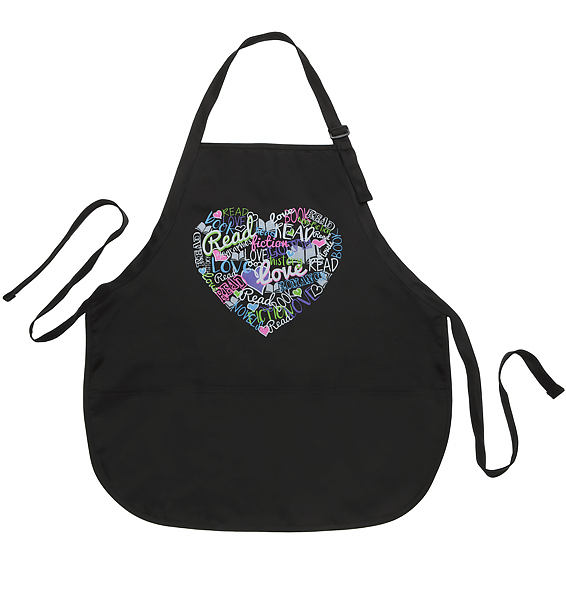 Colorful Love, Heart silk screened art on black apron. Medium length with 3 pouch pockets and adjustable 1 inch neck strap. 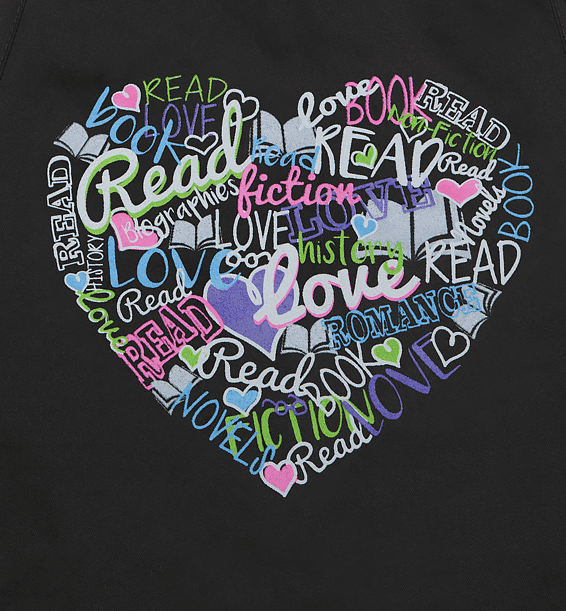 Colorful Love, Heart silk screened art. 100% cotton twill with soil-release finish. 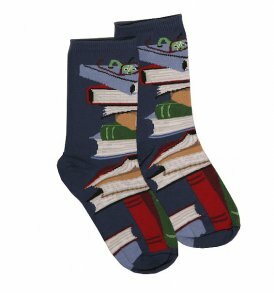 Cute book socks in classic black or blue color. 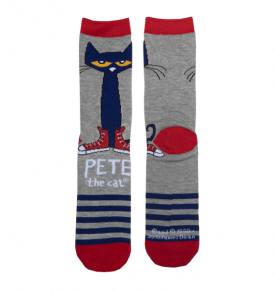 Cute Pete the Cat socks in grey with blue stripes and red accents. 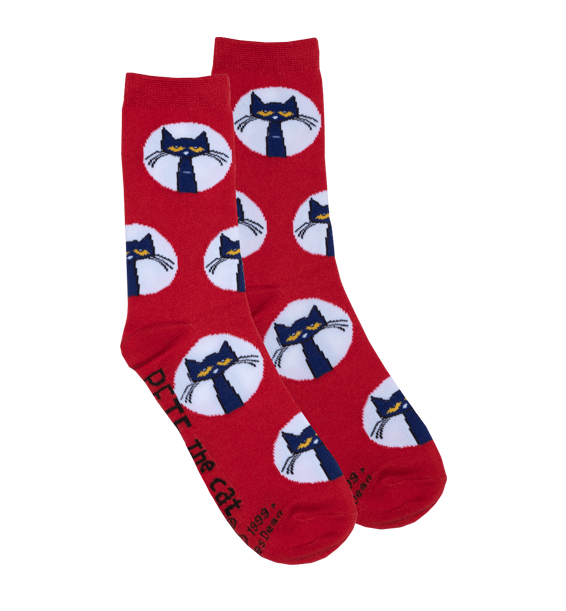 Cute Pete the Cat socks in red color.